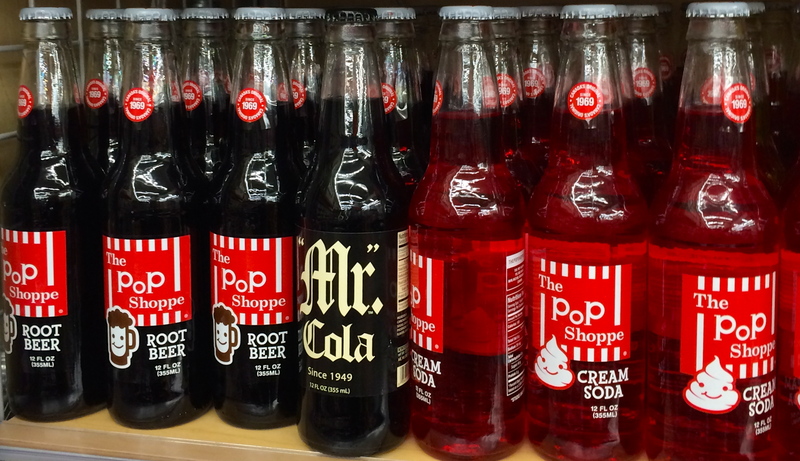 I was excited to find Pop Shoppe pop at Bed, Bath & Beyond’s new specialty foods area. Not that I’ll ever buy it, but it was a fun memory. I used to love the grape Happy Pop, in the stubby bottle of course. Even now, I still love the smell of grape pop… unfortuntely it’s just too sugary for me to handle a couple of decades later. But every once in a while, a little grape pop is all a person needs. Yes, sugar! Just not the same anymore.